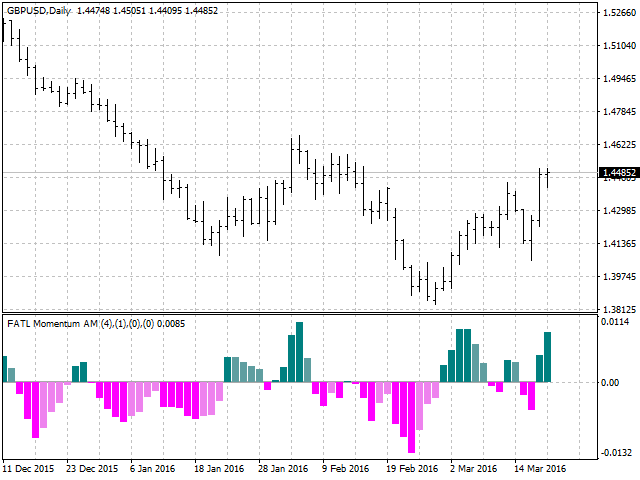 This technical indicator is one of the variations of the Momentum technical indicator. Its formula is simple and intuitive. The excess of the current prices over the past indicates an uptrend, and if the current prices are lower than the past ones over a specified time interval, then there is a downtrend. 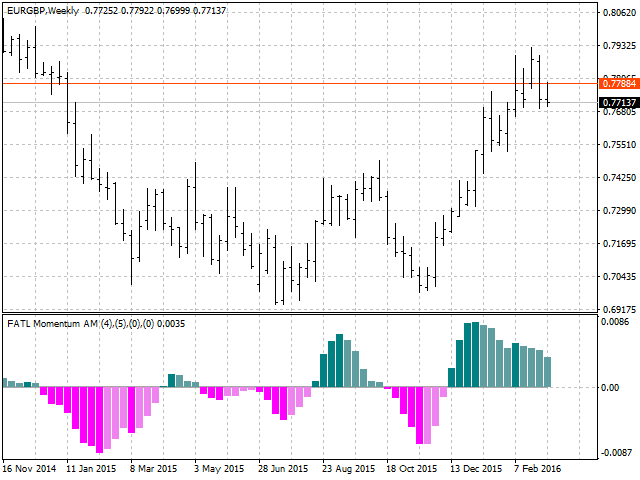 The presented technical indicator uses a smoothed Momentum indicator in order to decrease its volatility. 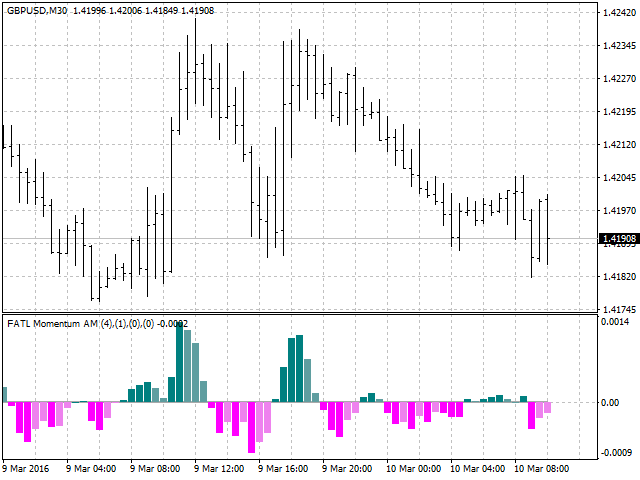 For this purpose it uses a moving average, that is additionally smoothed by an adaptive digital filter. The indicator is ahead of the main price movement most of the time. The indicator reverses before the top of the trend (while the prices usually keep growing) and starts to fall, only after that the trend usually tuns down. Before the bottom, on the contrary, the indicator slows its fall (while the prices usually keep falling, but at a slower rate), reverses and starts rising, after that the trend starts turning upwards. 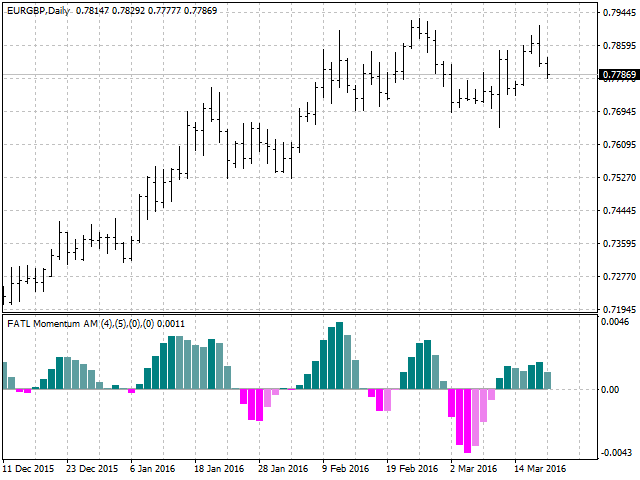 The Momentum oscillator for technical analysis can be used as an oscillator. The sell appears when the Momentum rises by a significant value, reverses and starts falling. The buy signal appears when the Momentum or its moving average falls by a significant value, reverses and starts growing. 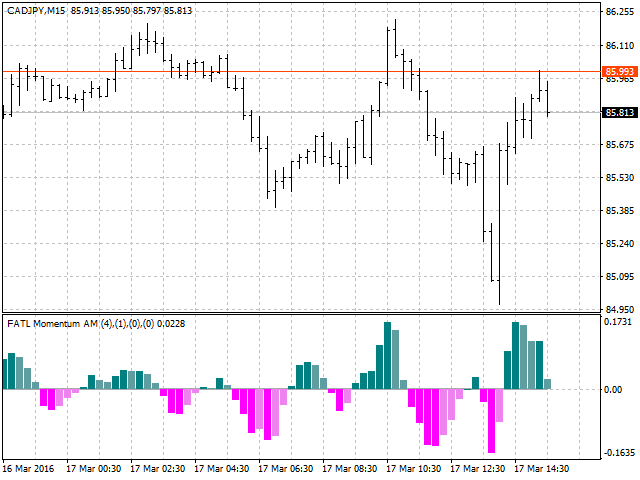 For such use, in order to improve the signal reliability, it is advisable to use a smoothed Momentum, and hence to increase the smoothing period (MA_Period) in the indicator settings. The Momentum indicator can be used as a trend indicator, and in this case, the crossing of its zero line is used as the signal. When the line is crossed from above, a sell signal is generated, when crossed from below, a buy signal is generated. 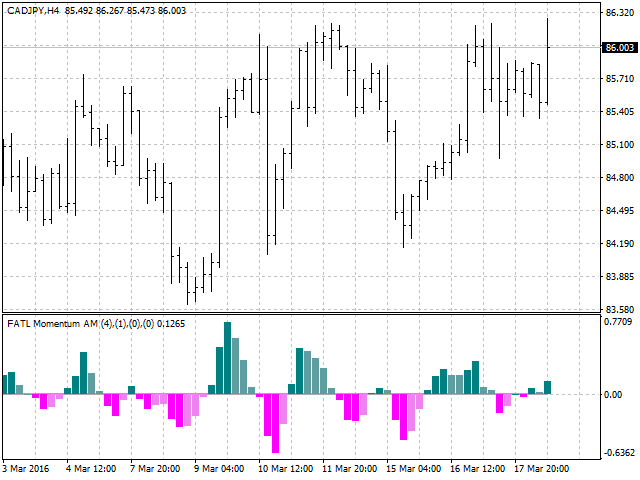 In the indicator mode the Momentum also uses the divergence analysis. If the prices create a new maximum on the chart, which is higher than the previous, and at the same time the Momentum creates a new maximum in its own chart but which is lower than the previous - then a reversal of the uptrend is likely to happen soon. Conversely, if the prices create a new minimum on the chart, which is lower than the previous, and at the same time the Momentum creates a new minimum in its own chart but which is higher than the previous - then a reversal of the downtrend is likely to happen soon. MA1_Price - the price of the first moving average. MA2_Price - the price of the second moving average. The other indicators, that use the adaptive digital filter as the smoothing method, can be found among my works. Feedback and suggestions are welcome. Significantly revised the code. Improved the indicator display and added customizable parameters. 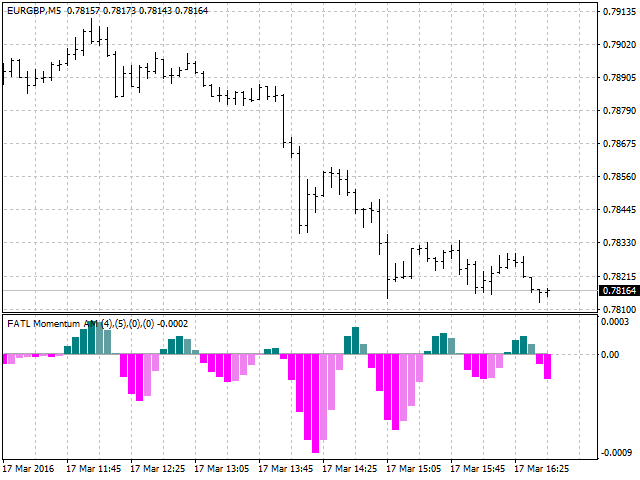 Added ability to select a price for the indicator calculation and shift (period). Fixed checking the indicator calculation data sufficiency.